Synopsis: It's very easy to use. 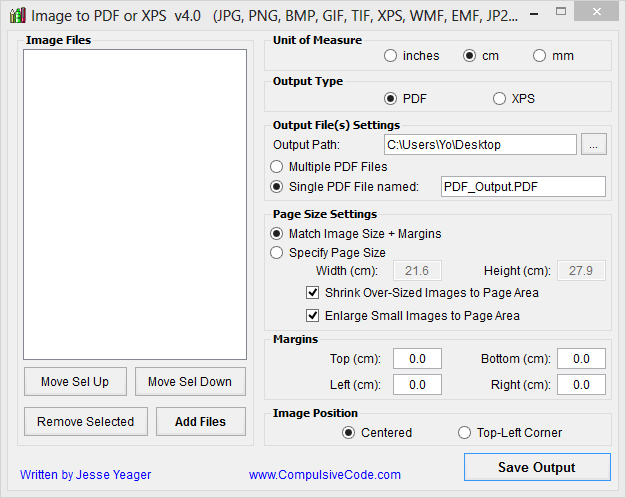 You add some of jpg and save it to pdf. You can move under list, preview jpg before create pdf. That's all. How to extract: Download the ZIP file and extract to a folder of your choice. Launch Jpg2pdf.exe. JPEG to PDF is great! But unfortunately, settings are written to registry. For an app like this, I would have preferred the settings to be portable as well. This application is good but this preview is not working now. Last edited by smaragdus on Thu Nov 01, 2018 6:20 am, edited 1 time in total. I downloaded the file from Softpedia, which I trust, but it's getting a pretty high VT rating. the hash doesnt match your though...so maybe something is different. the file from Softpedia is an older version. you have to use the external mirror to get the latest version from Softpedia. Hm, I had high hopes for the commandline conversion. At first glance it looked good, the pdf was created. However, it contained one pic only. Seems like you cannot put more than one pic into a pdf via command line. What's more, you cannot set a compression rate or jpg quality. You'll end up with bloated pdf files, almost as large as the size total of the pics you added. And even worse, it overwrites existing pdf-files without warning. No commandline, but fully portable. 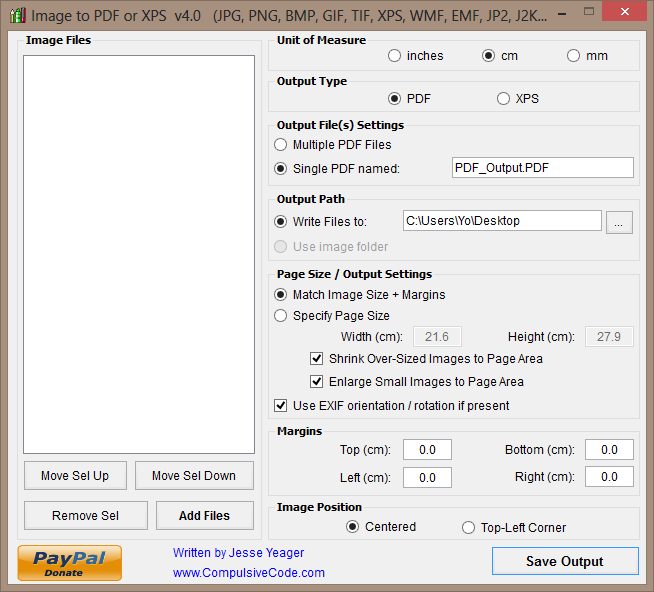 And it has the usual settings necessary for reasonable pdf-creation. Eventually, I'll probably end up using a commandline tool like NConvert. ImBatch also looks promising, but no landscape orientation, the pdf presents each pic on a portrait page with tons of useless white space. ...it's getting a pretty high VT rating. Removed unused test code from the program as it was causing false-positives in some online virus scanners.